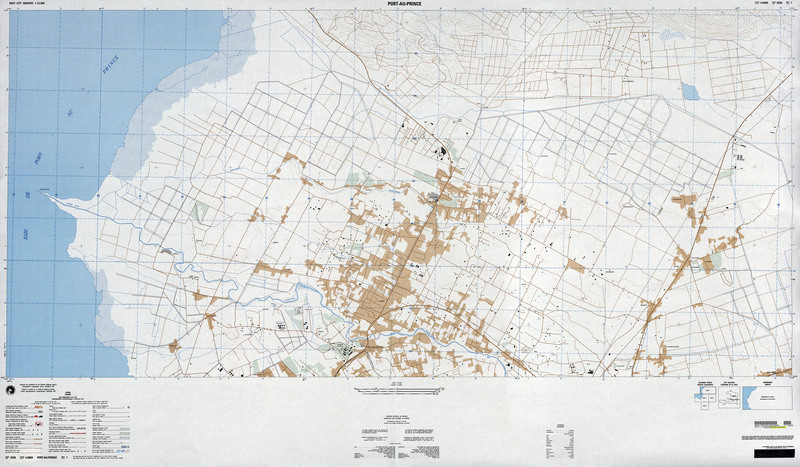 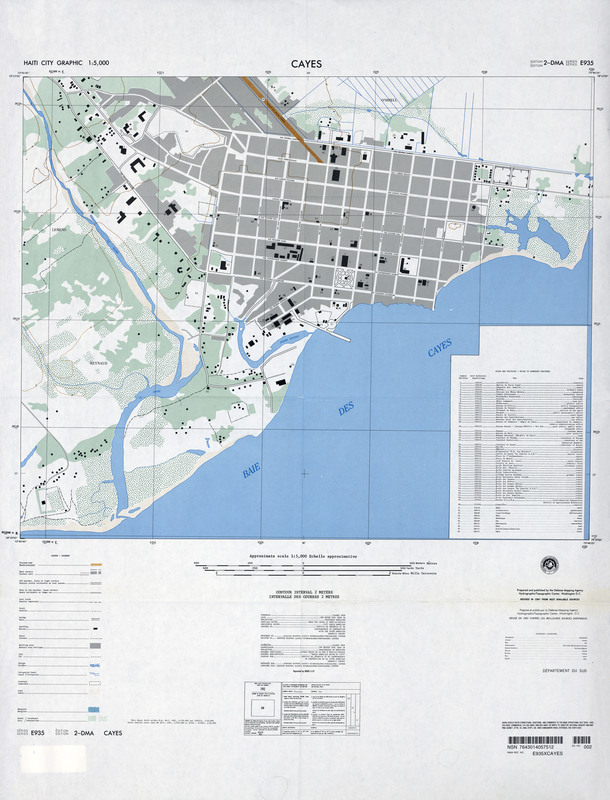 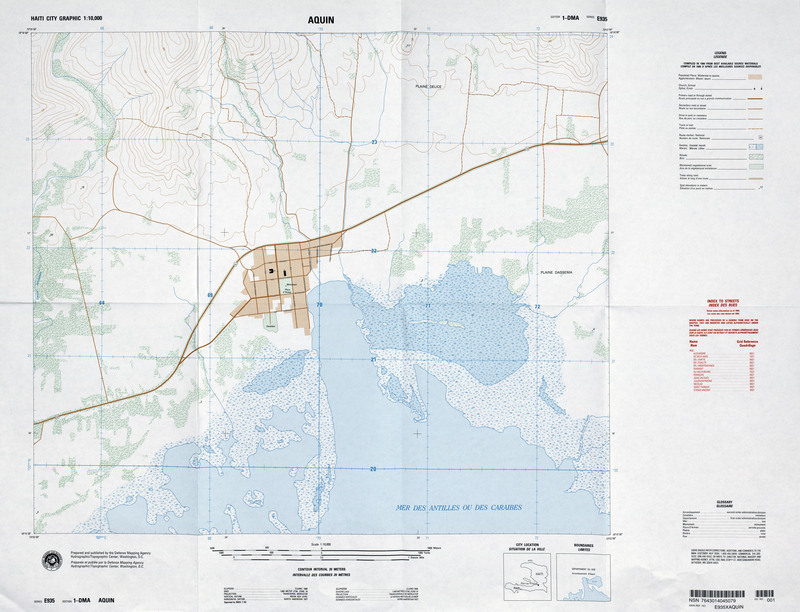 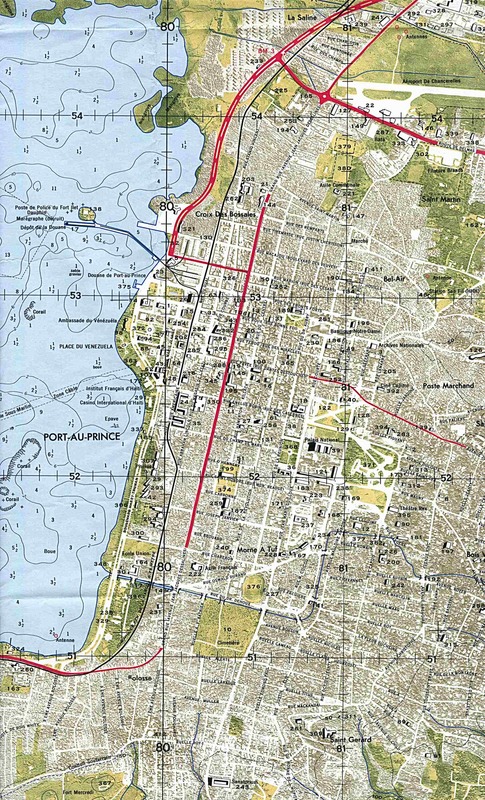 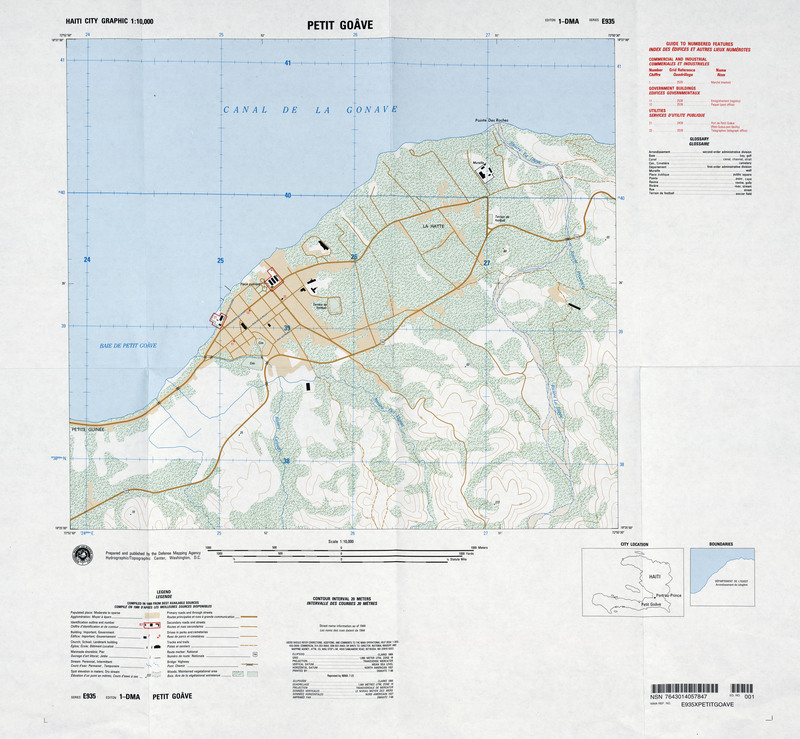 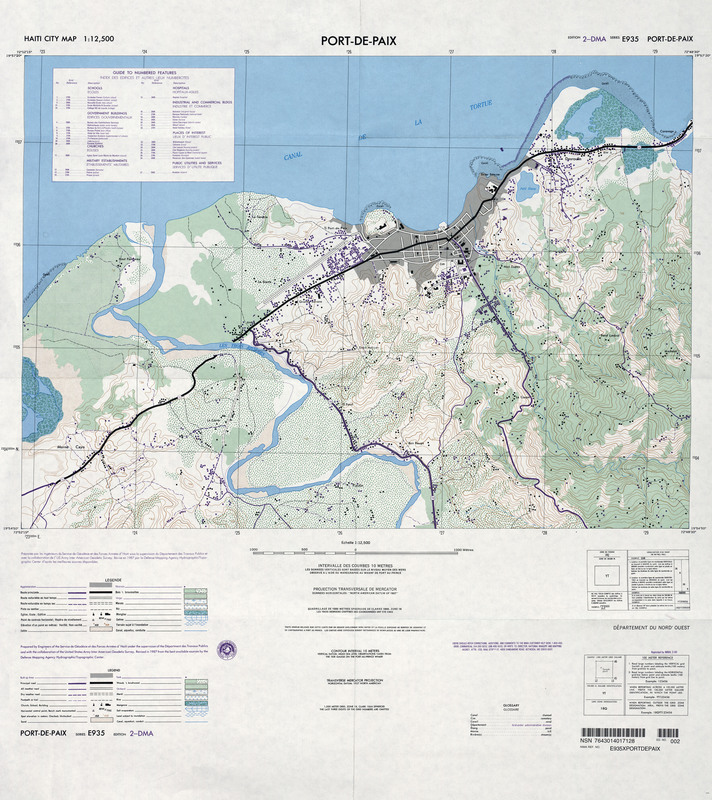 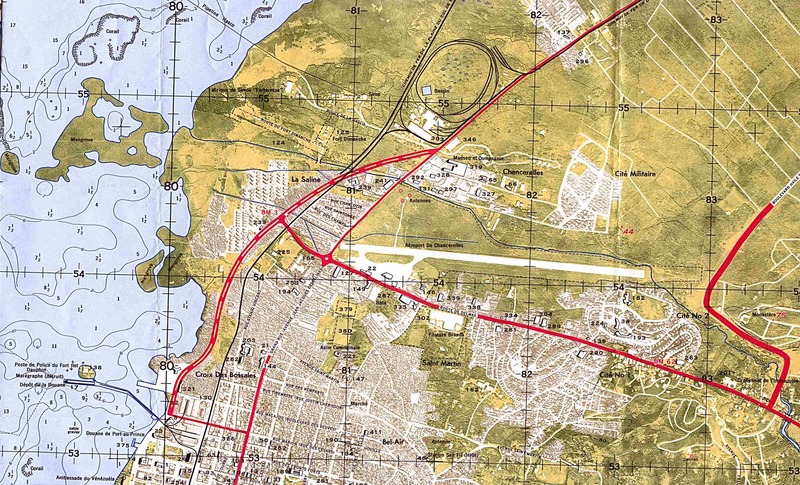 Port-au-Prince - North (orthophoto) 1:12,500 U.S. Army Map Service 1967 (569K) detail from Port-au-Prince and Vicinity. 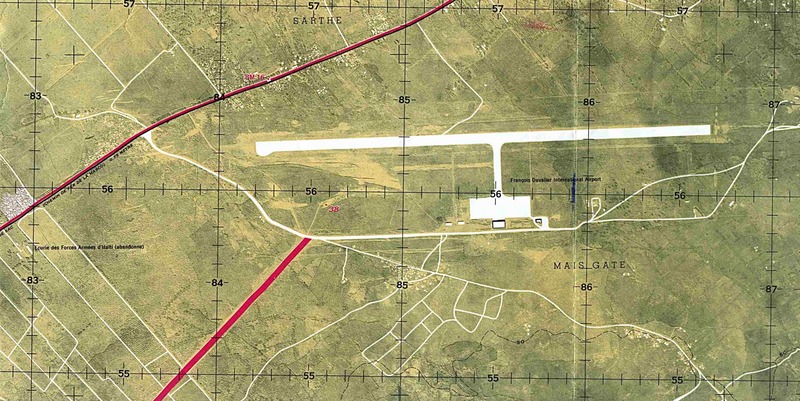 Note: Airport on this map no longer exists. 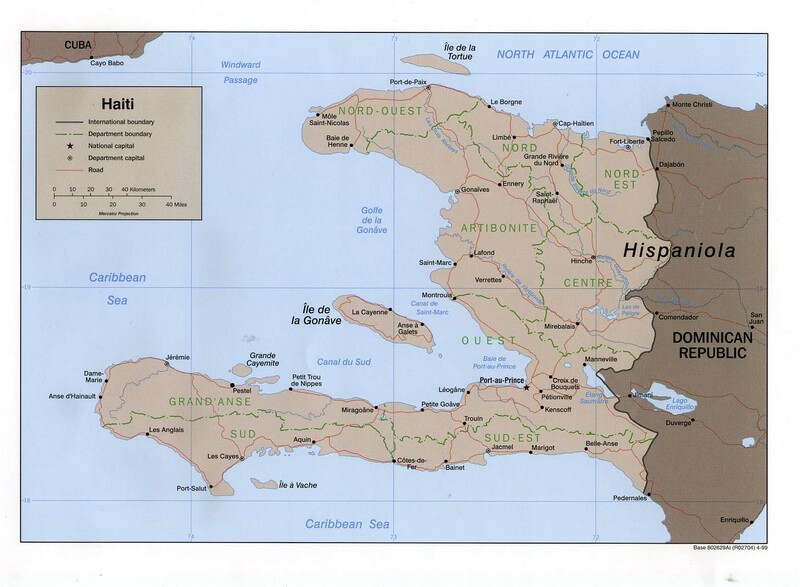 Haiti - 1:250,000 (aeronautical charts) Joint Operations Graphic (Air), U.S. National Geospatial-Intelligence Agency. 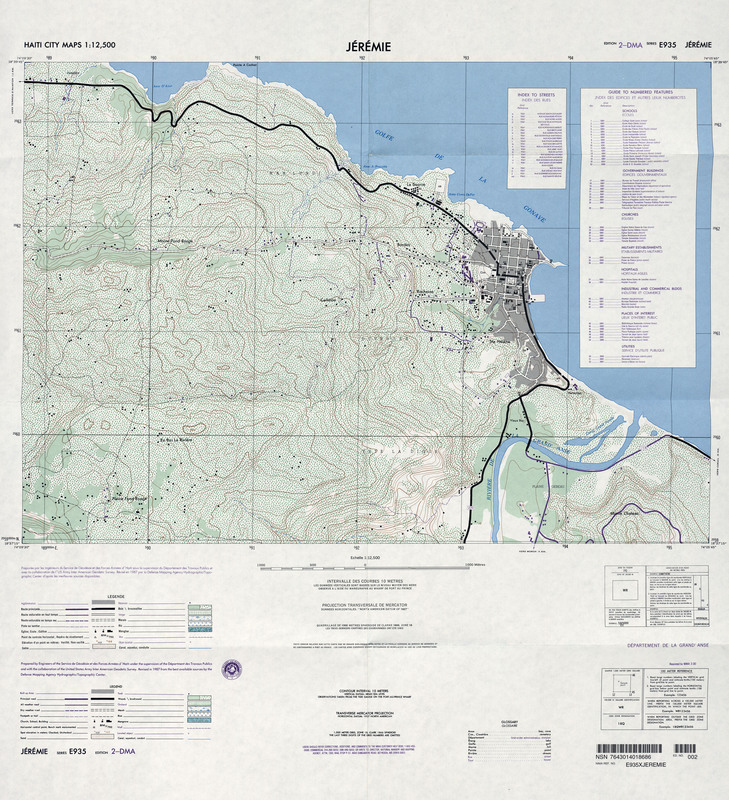 Series 1501 [5 sheets with clickable index map]. 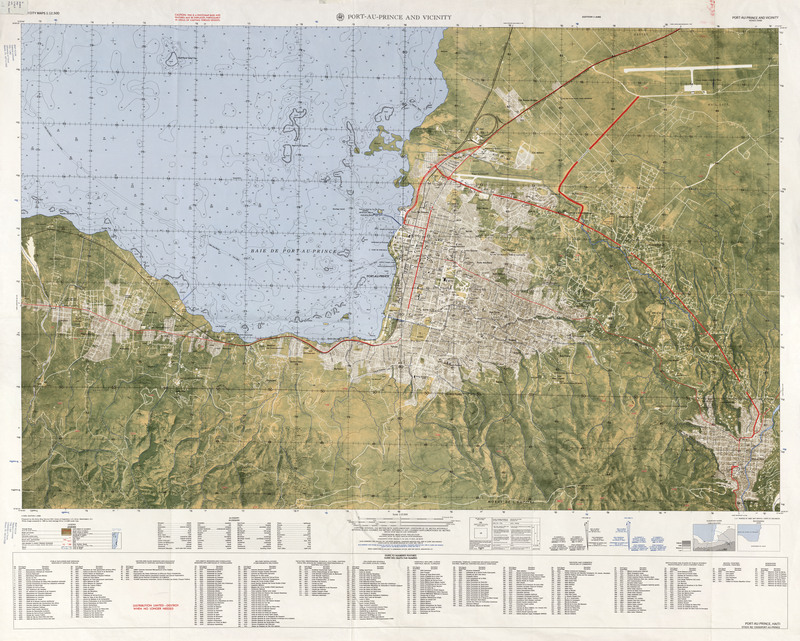 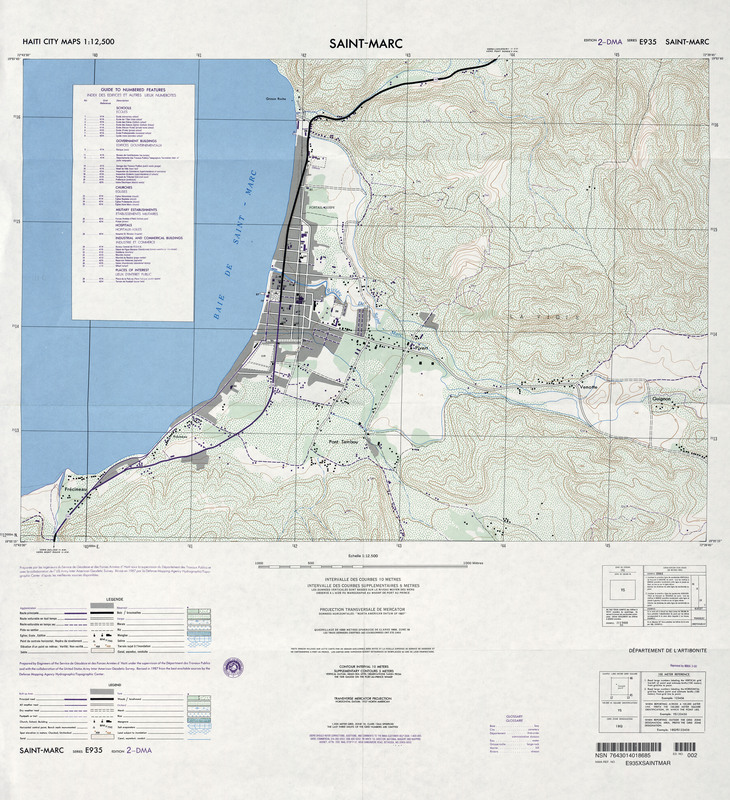 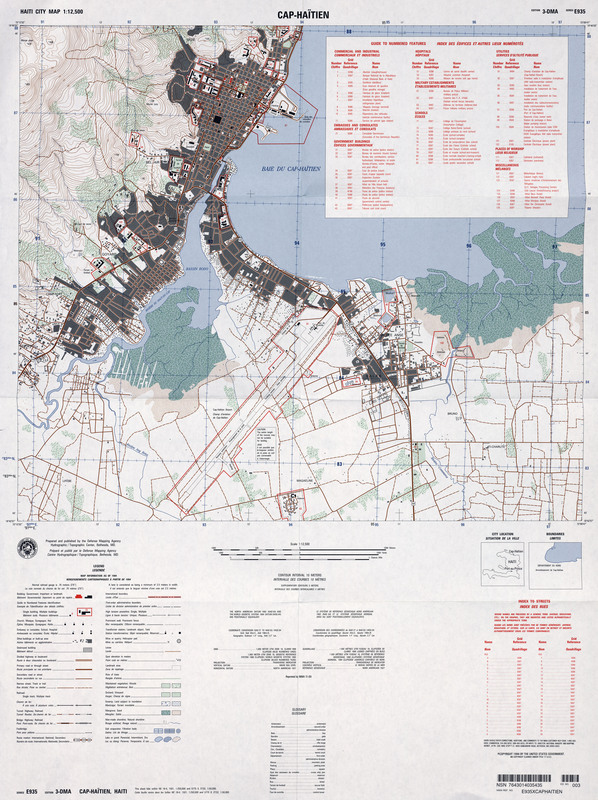 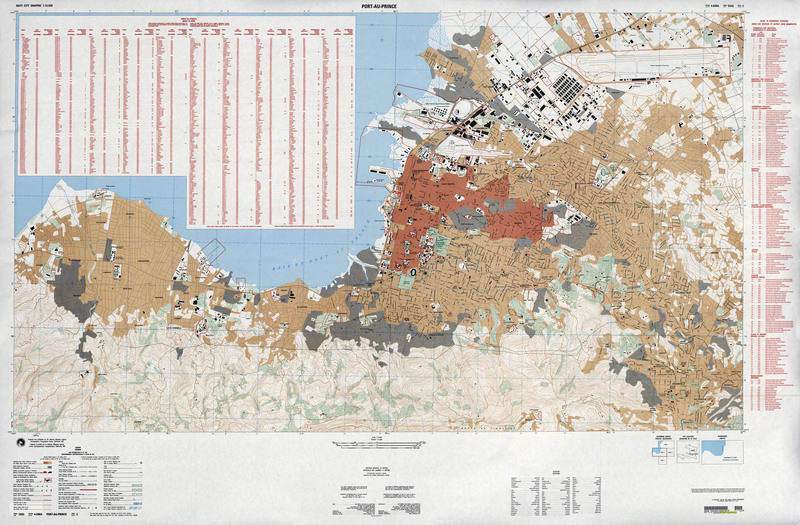 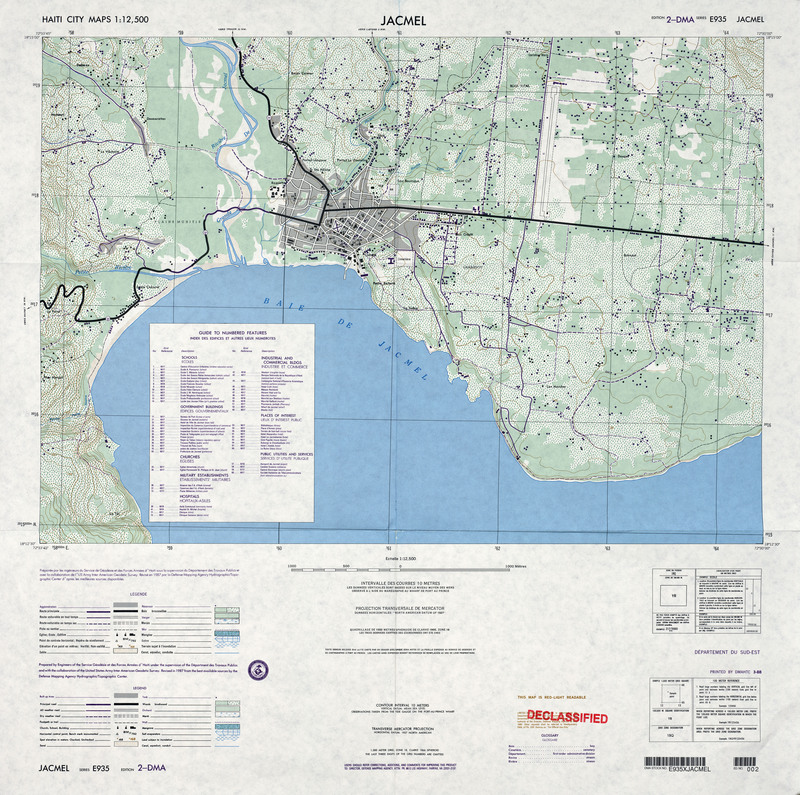 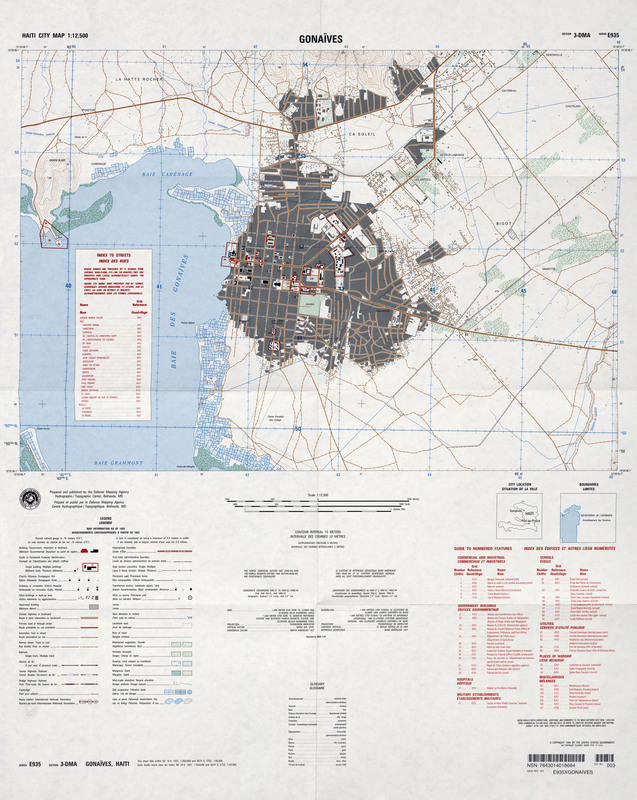 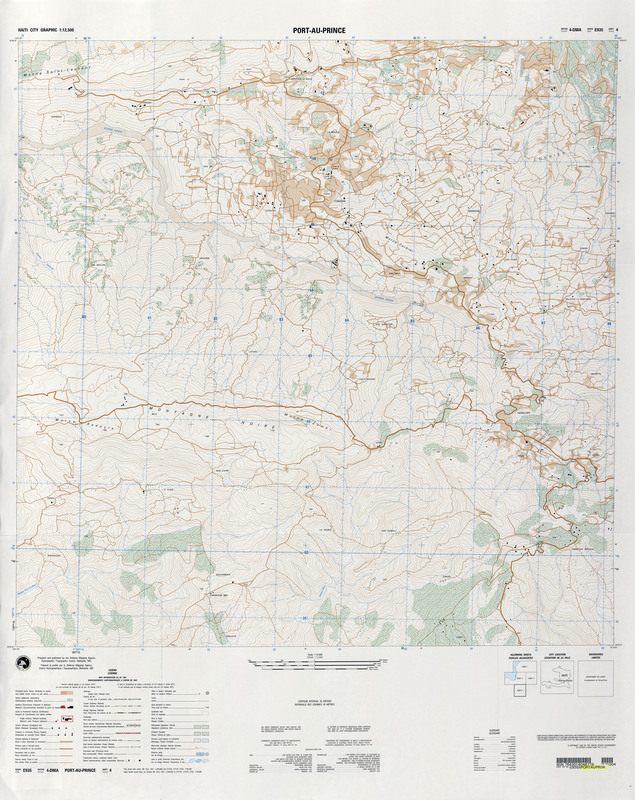 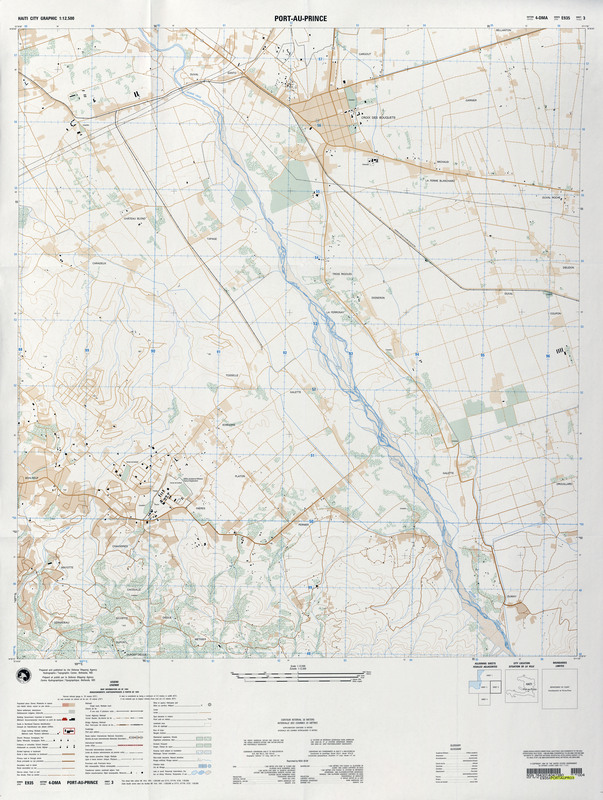 Haiti - 1:250,000 (aeronautical charts) Joint Operations Graphic (Ground), U.S. Army Topographic Command. 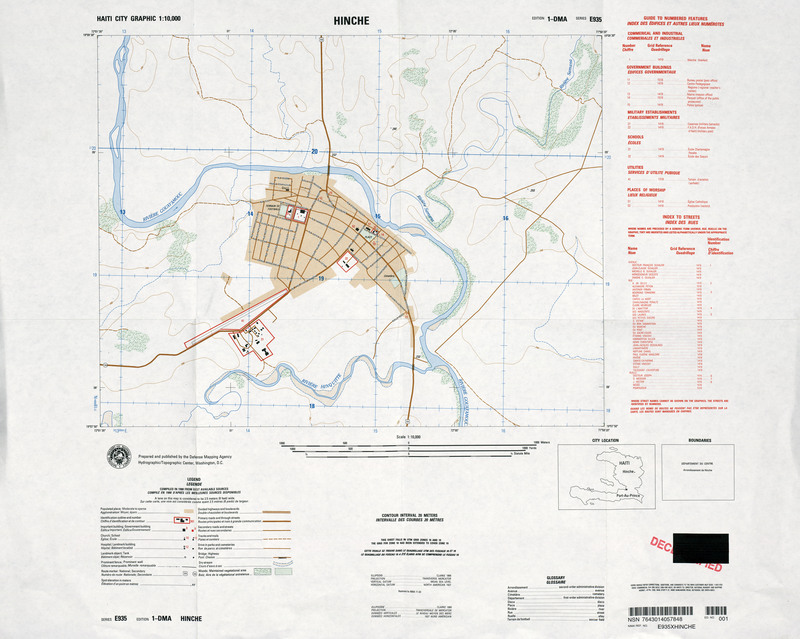 Series 1501 [5 sheets with clickable index map]. 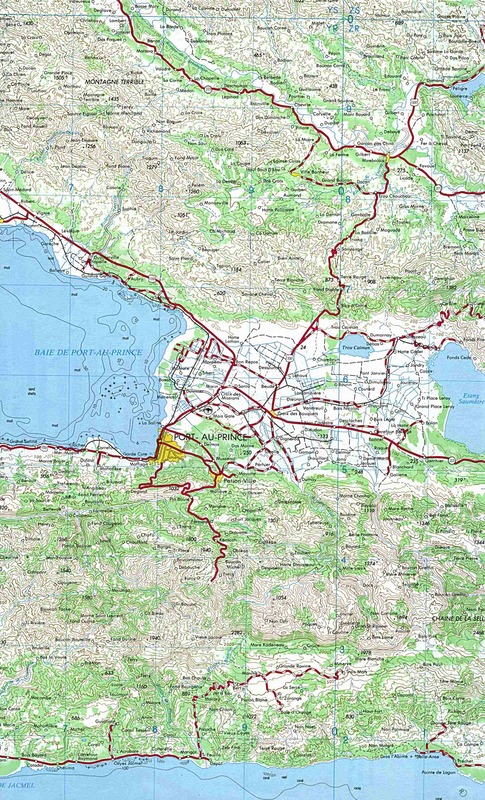 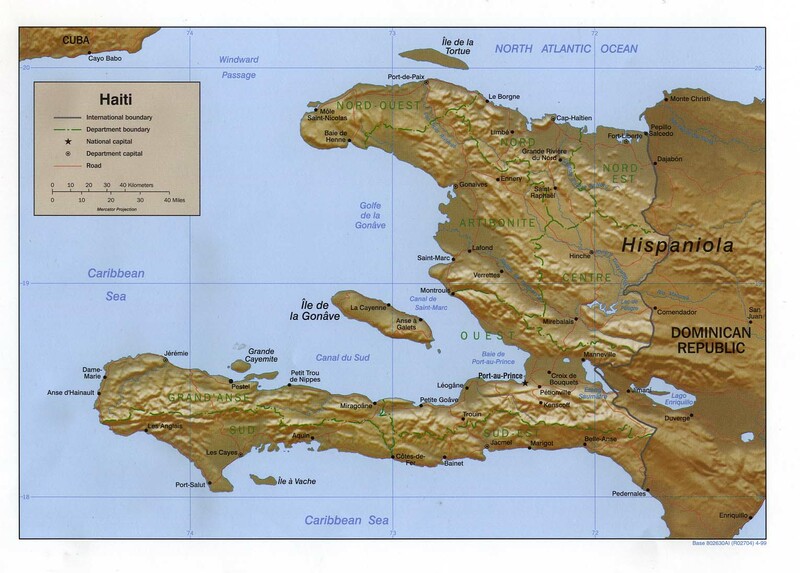 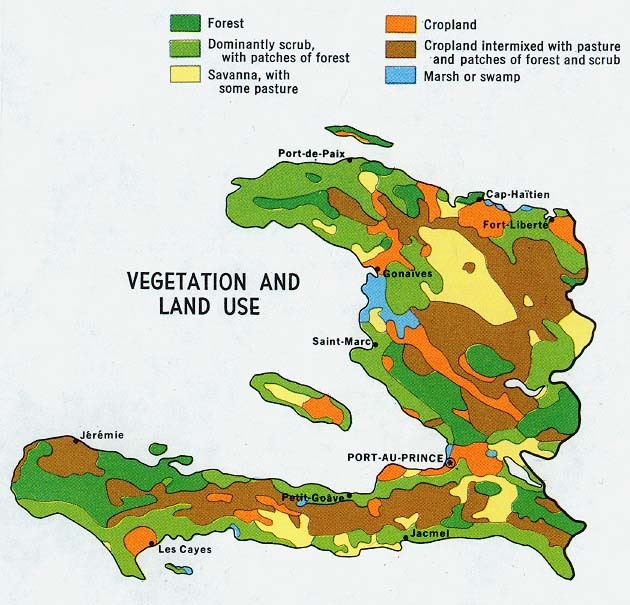 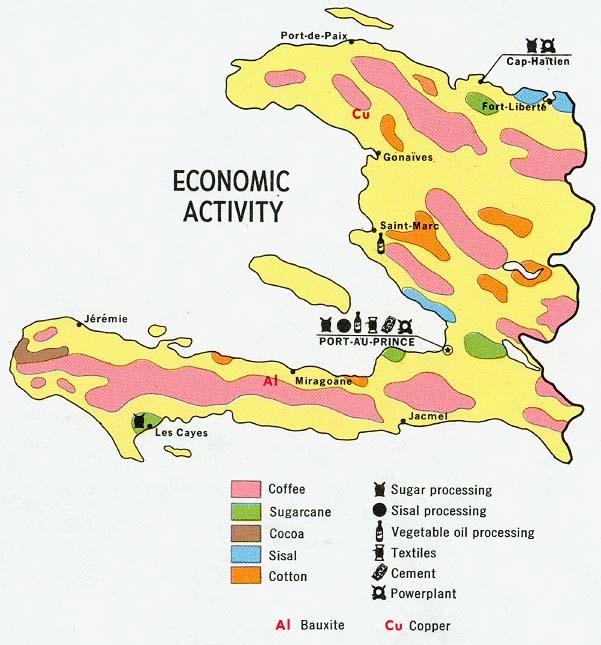 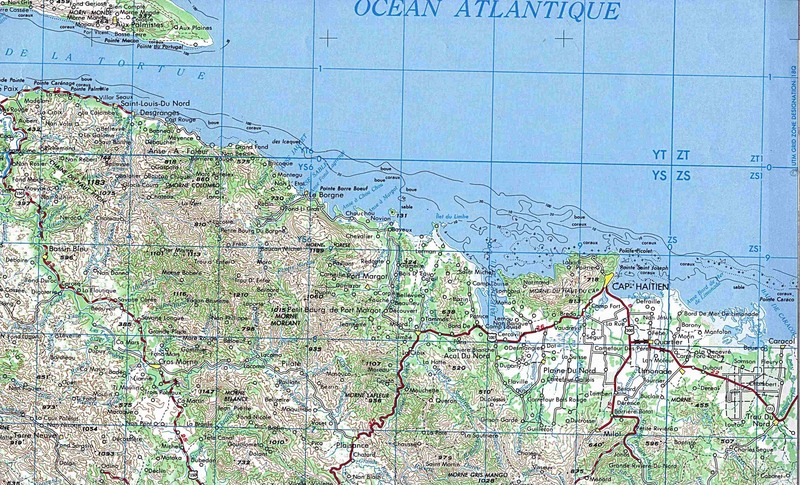 Haiti - 1:50,000 (topographic) National Geospatial-Intelligence Agency. 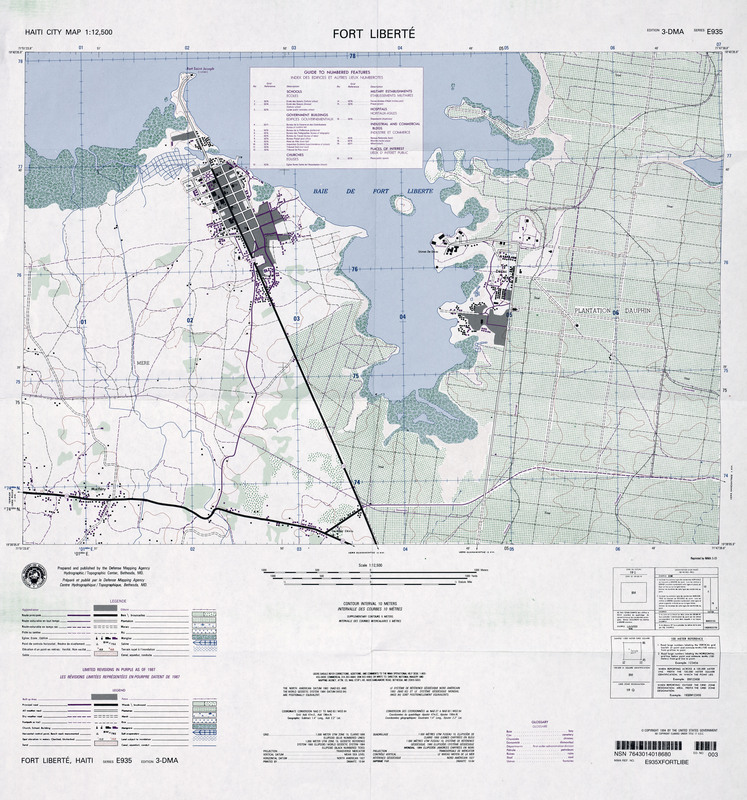 The GeoPDF files can be viewed either as a regular PDF or by downloading the software when opening a file. 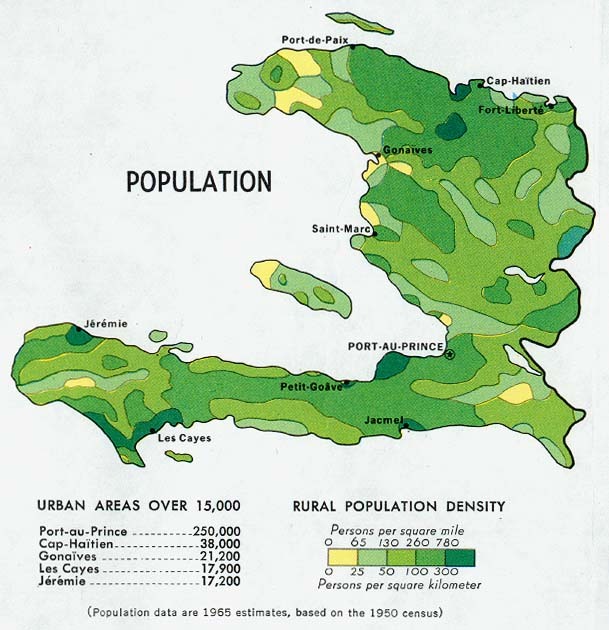 Clickable Index Map for this series.